All our psychologists are fully registered with AHPRA (Australian Health Practitioner Regulation Agency) and are eligible to provide psychological services under Medicare as well as various private health funds. Our clinicians are expert mental health professionals with various specializations. Please call us to find out more and our friendly receptionist or one of our therapists will assist you. Psych (Clin) , PGDip Psych, GDip Psych, GDip Bus. Mgtmt, B.Bus. I became a psychologist because I believe that everyone should have the opportunity to live the best life they can. Life has its ups and downs and sometimes people need help to overcome problems. I work in collaboration with clients to identify the areas in their lives where they are having difficulty and together we set goals and work towards them from a strengths based perspective. I believe that building an open and honest therapeutic relationship with clients is critical to their recovery. I undertake a comprehensive assessment of clients in order to develop a meaningful formulation and treatment plan. Where appropriate I utilise clinical testing to augment the assessment. Based on the outcome I utilise a relevant and suitable evidence based therapy for the client. I am skilled in a range of therapeutic methodologies including Cognitive Behaviour Therapy (CBT), Acceptance and Commitment Therapy (ACT), Dialectical Behaviour Therapy (DBT), Motivation Interviewing, Solution Focussed Brief Therapy (SFBT), Mindfulness and trauma based therapy. Prior to working in private practice, I spent seven years working for a leading non-government provider of client focussed mental health services. During this time, I worked with people who experienced mental health difficulties, to help them lead more fulfilling lives in the community. I undertook a diversity of roles including recovery-focused individual and family work, case work and case management support, and transition from acute services to community support. I worked with a variety of presentations including psychosis, mood disorders, substance use disorders, eating disorders, and personality disorders. I have experience in mental health inpatient units with acute clients as well as experience in youth residential rehabilitation. I have experienced working with anxiety and depression. I have a special interest in Personality Disorder, particularly Borderline Personality Disorder, and I have been trained in the DBT protocol. I am cognisant of the risk that accompanies people with this diagnosis and I am trained in mental health risk assessment and management. I am experienced in working with people who exhibit self -harming and suicidal behaviours as well as those with a trauma background. Prior to working as a psychologist I had a wide and varied career in both the corporate and private sector and so bring a wealth of life experience to my role as a psychologist. I have over 10 years experience working in the field of Mental Health, with a range of clients including individuals, couples and families. My initial experience working in a Psychiatric hospital gave me a solid foundation of understanding of mental health, severe mental illness and the impact of this on both the individual and those around them. I developed a passion for working with people to effect positive changes in their lives and to work through their often traumatic and painful pasts. I have worked in a diverse range of fields within the sector such as homelessness, psychiatric and vocational rehabilitation settings, Non-government organisations and private practice. After completing further training in Couple and Family therapy I became passionate about working with people to assist them with addressing issues in their relationships and within themselves. For the past 7 years I have worked as a relationship therapist (working mostly with couples and individuals) and so my experience and skill in this area is my particular strength. I have helped clients to address a variety of issues such as, infidelity, conflict, parenting and other relational issues. I am a compassionate, committed therapist and bring a caring, yet challenging style, when this is called for. My therapeutic approach includes elements of Systemic Therapy, the Gottman method of Couples Therapy, Imago therapy, Mindfulness, and Cognitive Behavioural based approaches. I have a special interest in Schema Therapy which is what drew me to work at the Good mood clinic. My style is warm, empathic and non-judgemental. I seek to understand each unique client and couple and develop a trusting, collaborative therapeutic relationship with them. In my work with clients I often explore Family of Origin histories, look at uncovering unhelpful patterns and how to change them and work through the impact of traumas. My focus is on healing and re-connection and assisting clients to work through their issues in a gentle but systematic way, in order to improve or enhance their relationships with themselves and others and their lives. I have an open and compassionate style and enjoy working with both adults and adolescents who are experiencing difficulties with emotion regulation, mood & anxiety disorders and interpersonal issues. I come to the practice of clinical psychology by way of a previous career in medical research. This career change was driven by a desire to engage more directly with people and help them to live happier, more fulfilling lives, rather than simply living longer. My training in basic science and knowledge of physiology provide a unique perspective that enriches my clinical work and I enjoy helping my clients to understand how physiological and neurobiological processes interact with mental functioning and well-being. Within the framework of Schema Therapy, I draw upon attachment theory, traditional cognitive-behavioural therapy (CBT), Acceptance and Commitment Therapy (ACT), Dialectical Behaviour Therapy (DBT) and emotion-focused techniques. I am currently working towards my international accreditation in Schema Therapy. I have received a number of awards during both my basic science and clinical degrees, including the University Medal in Physiology from the University of New South Wales and the Freestone Prize for Excellence in Clinical Psychology from the University of Wollongong. I enjoy a commitment to lifelong learning and am continually working to expand my skills that will help me to help my clients. Over the last 9 years, I have worked in private practice across NZ, Melbourne and Sydney. My background was in Neuropsychology and prior to moving to private practice, I spent several years working in research and clinically at the public sector. I am passionate about empowering my clients in identifying unhelpful patterns and working collaboratively with them to improve on their quality of life. I adopt a solutions focussed approach to aid with crisis and managing distress; whilst also working with underlying vulnerabilities that cause relapse or chronic issues. I believe in everyone’s capacity to change with the right guidance and tools. My clients would describe me as a enthusiastic, warm and compassionate therapist. My areas of expertise include assessment and treatment of mood disorders and traumas – Depression, Anxiety disorders (OCD, Panic Disorder, PTSD, Generalised Anxiety), Bipolar Mood Disorder, Borderline Personality Disorder, Grief/ Loss. I draw upon evidenced based models such as Cognitive Behavioural Therapy (CBT), Acceptance and Commitment Therapy (ACT), Dialectical Behavioural Therapy and Schema Therapy. My belief is therapy can be an insightful and challenging experience but at the same time have a supportive process that creates a healthier sense of self. Other than my clinical work, I have interest in public awareness of mental health in the community and the media as I have taken active part in delivering workshops, seminars, interviews for promotion of mental health awareness and supervising mental health clinician as Board Approved Supervisor of the APS. I have been working as a clinical psychologist in private practice for 10 years, including work within a specialist clinic for the treatment of OCD before setting up the Good Mood Clinic in Bondi Junction with Gemma in 2008. As a therapist, I am understanding and non-judgemental and I enjoy helping people get to the heart of what is not working in their lives. In practice, I am an integrative therapist and draw upon schema therapy, cognitive-behavioural approaches and acceptance and commitment therapy to assist people make real and sustained change in important areas of their life. My areas of clinical expertise include: depression; bipolar disorder (and mood swings); post-natal depression; anxiety disorders; alcohol and substance abuse (and post rehab long-term therapy); helping clients improve parenting; relationship therapy and borderline personality disorder. Previously I have held research positions at the Clinical Research Unit for Anxiety and Depression (CRUfAD) and the Sydney Bipolar Disorder Clinic within the School of Psychiatry, UNSW. I have a particular interest in improving treatments for bipolar disorder and I am undertaking doctoral research at UNSW into the relationship between the disorder, anxiety and perfectionism. This is an area I am passionate about because these factors are frequently involved in the onset, course and management of bipolar disorder and psychological treatments for the condition are vitally important. I have been working in the mental health sphere for over 24 years. 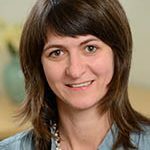 I commenced my own private practice in 2001 and later in 2008, due to shared values, I joined with Justine Corry to set up the Good Mood Clinic with a joint mission to build a practice which focused on understanding and changing psychological vulnerabilities and not just providing symptom relief. Earlier on I worked in clinical research and formerly held the position of Senior Research Fellow at the Black Dog Institute. The Black Dog Institute developed out of what was previously known as the Mood Disorders Unit (a tertiary referral unit connected with POWH & UNSW) and I worked within that organisation as it changed shape for a total period of 11 years. During that time I was involved in several large scale research projects examining the nature of depressive disorders including their causes, risk factors, characteristics and outcomes. I completed my PhD within the School of Psychiatry, faculty of medicine at UNSW during that time. During my time in that organisation I conducted over 500 clinical research interviews with people referred for recurrent or chronic mood disorders. Collectively, those experiences gave me a rich and fairly unique insight into the nature of depression as a psychological disorder and an invaluable understanding of the role of psychological vulnerabilities. In addition to that experience, my time in private practice over the last 16 years has meant that I have worked with hundreds of other clients in the community seeking help for all manner of psychological and relationship issues and I have had the great fortune to learn from them and gain a deep appreciation for why and how people become depressed and for what works and what doesn’t work! My specialty areas include: depression (including so called “treatment-resistant” depression); borderline & other personality issues; complicated grief; adult survivors of childhood sexual abuse; relationship issues & couples therapy, adult survivors of narcissistic parenting and parenting for the prevention of mental health issues. 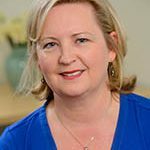 My experience has highlighted for me why it is so important to be an informed integrative therapist and I therefore draw from a variety of useful methods in my clinical work including: experiential methods (eg, imagery with rescripting; chair work); cognitive behavioural tools, mindfulness training and compassion-focused therapy. After using experiential methods effectively in the treatment of complex trauma and inhibited grief, I decided to complete my advanced certification in Schema Therapy, due to my passion for this therapy and my belief in its ability to understand complex issues, resolve long-term patterns and tackle persistent emotional disorders like chronic depression. I take a non-judgemental and respectful stance in my clinical practice and treat each person I work with as a unique individual with an important life story. I have also worked in several clinical roles outside of private practice including facilitating Dialectical Behaviour Therapy (DBT) groups and hospital work and have consulted in business as a coaching psychologist assisting Managers better understand their own personality styles and how they affect the people around them. I am also an experienced trainer & educator and have conducted numerous workshops for psychologists and therapists (sexual abuse; schema therapy; personality disorders) since 2005 and have worked in adult education. Lastly, I have a strong professional and personal interest in Buddhist psychotherapy, mindfulness and self-compassion practices and I incorporate these where possible, encouraging my clients to practice meditation and develop self-compassion in daily life. Astrid is currently not available as she is on leave from the practice. Clients interested in seeing Astrid or returning clients should contact the clinic for more information. 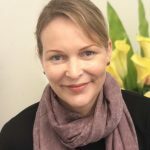 Over the last 16 years I have gained diverse clinical experience working both in Germany and Australia in different clinical and academic settings (previously working in a research position within the Department of Clinical and Physiological Psychology of the University of Trier, Germany) and have a background in psychotherapy, psychological research, education and training. My areas of clinical expertise lie in the mood disorders; anxiety disorders; eating disorders and weight issues; borderline personality disorder and other personality problems; relationship issues; work related stressors and expatriate issues. As a therapist I use an informed integrative approach drawing on cognitive behaviour therapy, acceptance and commitment therapy and schema therapy and I am completing my advanced certification in schema therapy as I have a particularly strong interest in this approach. I enjoy supporting people to acknowledge and work with their personal strengths and to help them gain insight into their psychological vulnerabilities. My aim is to help my clients understand and change those aspects of thinking and behaviour that do not serve them well. Currently I also hold an academic position within the Department of Medicine, University of Sydney and I have recently submitted my doctoral research thesis into the relationship between disordered eating behaviours and psychological comorbidity. I enjoy working in a team of professionals dedicated to supporting people to achieve change and living the life they want to live, free of life traps and negative life patterns.